Pancakes with strawberry whipped cream drizzled with syrup. 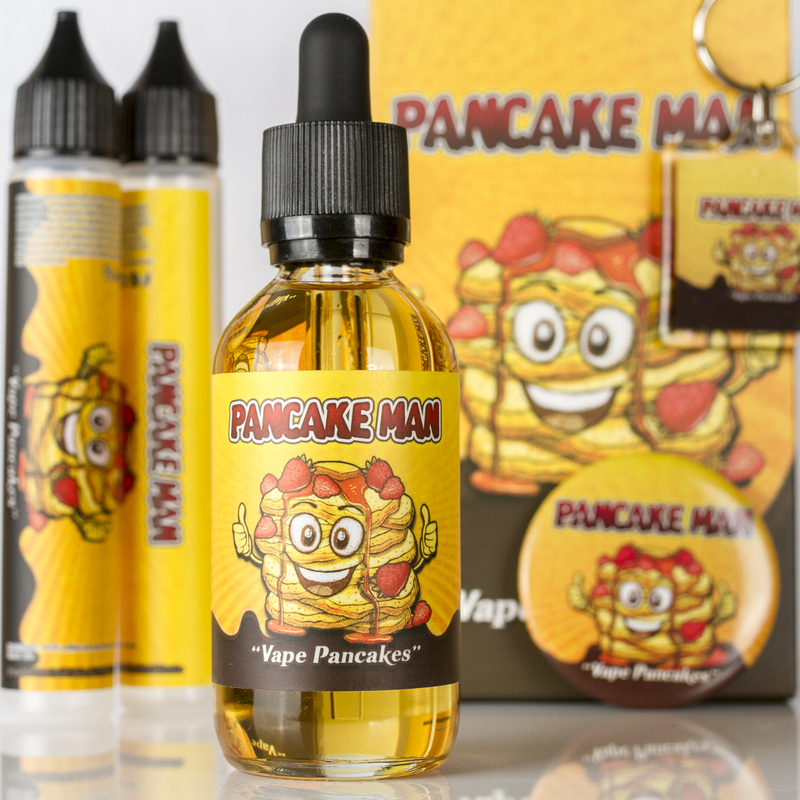 Pancake Man vape is absolutely delicious. Fresh n fluffy Pancakes with melted butter, topped with strawberries and super fresh whipped cream with a drizzle of syrup.